Hyundai says the i40 sedan, shown here as a rendering, has high levels of interior comfort, along with best-in-class dimensions for front, head, shoulder and leg room. Hyundai will unveil a sedan version of its new i40 at the Barcelona auto show on May 12. The i40 will compete against cars such as the Volkswagen Passat, Ford Mondeo and Opel/Vauxhall Insignia in Europe's upper-medium, or mid-sized, segment. The debut of the i40 sedan in the Spanish city follows the premier of the station wagon version at the Geneva auto show in March. Like the wagon, the i40 sedan was designed and engineered at the Hyundai's European r&d headquarters in Ruesselsheim, Germany. 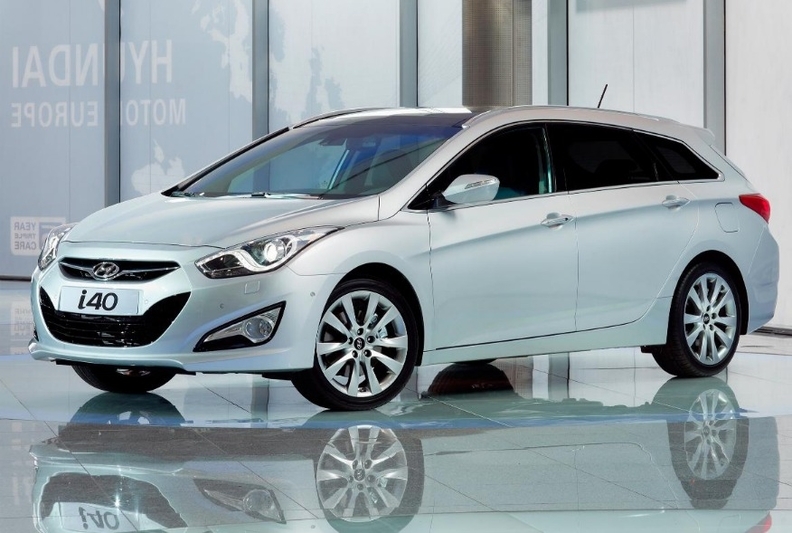 Allan Rushforth, Hyundai Motor Europe senior vice president, said the carmaker decided to debut the i40 sedan in Barcelona because the sedan market in Spain is very strong, claiming almost 40 percent of the mid-sized segment. Hyundai says the i40, shown here as a wagon, represents the company's new "modern premium" market positioning aimed at making upscale features available at accessible prices. "We have used very strong, fluid lines from front to rear to give i40 a distinctive appearance," said Thomas Buerkle, Hyundai Motor Europe's design chief in a statement. "We wanted to move away from the typical three-box sedan and create a car that was in keeping with the sporty nature of the i40 wagon. By sculpting a low, elongated roof line, we've given the i40 sedan a striking coupe-like silhouette."